Get to know a variety of Carinthian specialties and hidden Klagenfurt taverns that are committed to good taste and regionality. A small tip – ideally you should come for this tour with an empty stomach! Starting at the City-Parish Church of St. Egid, the tour will take participants up the Parish Church tower, for centuries the highest building in the city. Participants will be able to experience an abrupt contrast in the meager life of the tower wardens. 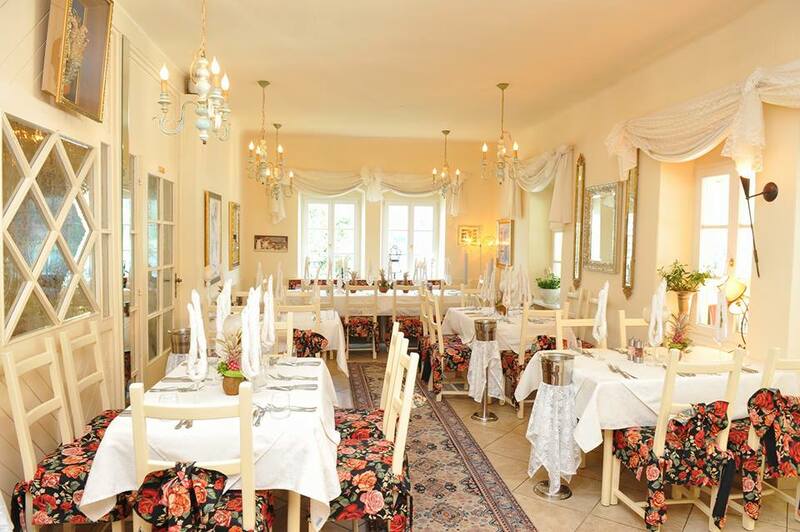 Expect a delicious and traditional food in a typical Gasthaus in the heart of the city. Over an area of 12.7 hectares the Sportpark Klagenfurt, in a great location between the city centre and the east bay of Lake Wörthersee, is home to not only the Wörthersee stadium, the venue of the UEFA EURO 2008, but also to many occasions for sport and business events. The generously planned rooms provide optimal conditions for seminars, conferences, as well as company celebrations and Christmas parties. The exclusively furnished VIP Lounge offers a breathtaking view of the EURO stadium and is a unique event location. Plus: 500 roofed parking spaces! 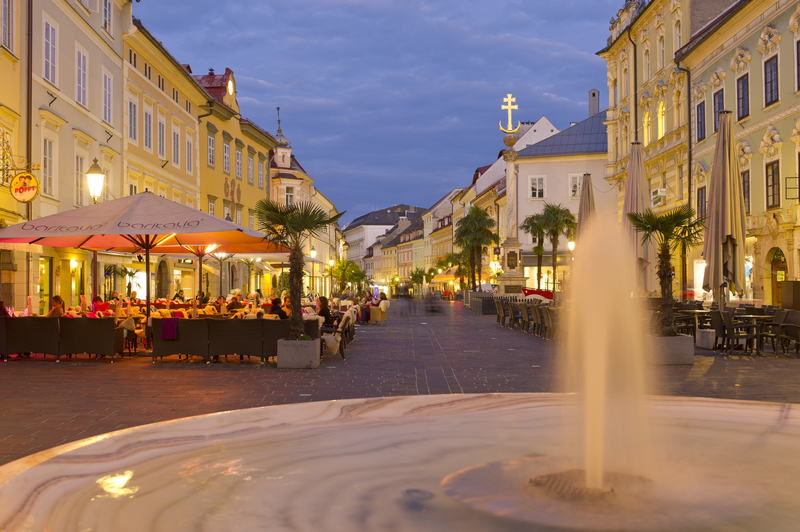 Visitors to Klagenfurt can also look forward to discovering some marvelous wineries. 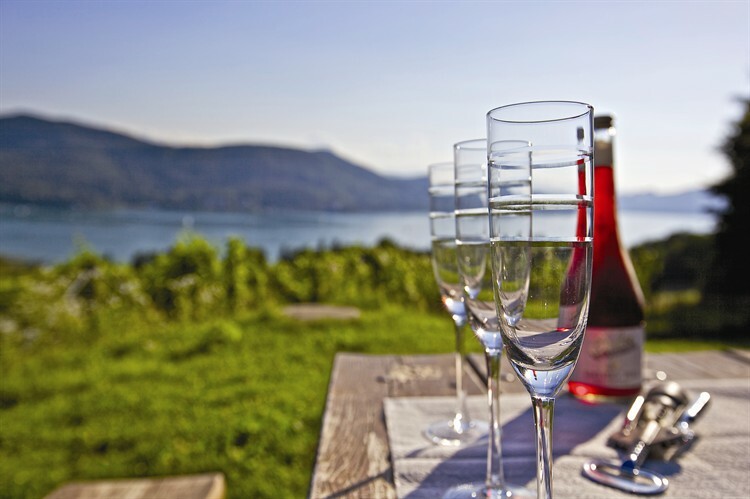 STADTWINZER is a cooperative of winegrowers that also offers guided tours of the “Ried-Seewiese” vineyards with views out across Lake Wörthersee. Wines have been grown on the Seewiese in Klagenfurt for more than 40 years. Since the beginning of 2003, the Vinum Carinthiae Winegrowing Association has leased out the Seewiese, with the subleasing members of the association growing wines on the Seewiese as part of a cooperative. On an area of more than 0.5 hectares, local vintners cultivate whites that include Sauvignon Blanc, Weissburgunder, Chardonnay and Riesling grapes, and reds such as Zweigelt, St. Laurent, Blauburger and Merlot. The vineyard lies along the lake path around the Wörthersee and can be reached in about a 10-minute walk from the Plattenwirt at the Europapark. Together with a local vintner (a person who makes wine), you will embark on a guided tour of the vineyard, followed by a degustation of their wines.